Mary GrandPré's original art will continue to be featured on the hardcover and digest paperback editions of the books. 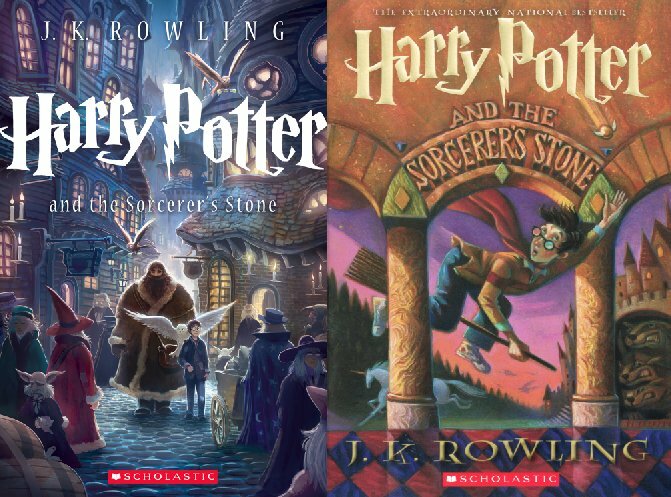 There are currently more than 150 million Harry Potter books in print in the U.S. alone and the series still hits bestseller lists regularly. The series is published in over 200 places in 73 languages and has sold more than 450 million copies worldwide. Here is the first new book cover (on the left) accompanied by the former book cover (on the right).